Those looking to purchase a BlackBerry Passport or a BlackBerry Priv directly from the manufacturer might want to take advantage of the company's new May Madness promotion. For a limited time, the iconic smartphone maker is offering the standard BlackBerry Passport (in either Black or White) at $375. The Passport Silver Edition will set you back $410. Chances are that most BlackBerry fans are already well accustomed to the uniquely-shaped Passport. However, just in case you're looking for a quick refresher, the last BB OS 10 handset manufactured by BlackBerry comes with physical specs such as a Qualcomm Snapdragon 801 chipset paired with 3GB of RAM, 32GB of expandable storage, a 13MP primary camera with OIS, and a 2MP secondary shooter on the front. The main highlights of the phone are its 4.5-inch 1440 x 1440 square display and the physical keyboard below it. If you've already come to the conclusion that you want a BlackBerry Passport, then we suppose that this is a decent deal. On the other hand, most users are probably better off getting an iPhone or an Android smartphone. Speaking of Android smartphones, BlackBerry's May Madness campaign also includes a decent deal on the company's first Android device, the Priv. The handset's price remains a rather steep $649, but the company is throwing in a black flip case and a sync pod with each purchase. The two accessories have a total value of $99, which makes this is a rather interesting deal. On the other hand, you can still hurry and get the BlackBerry Priv at just $380 from eBay, which is a much better deal overall. What do you guys think of BlackBerry's May Madness promotion? See anything that you like? AT&T killed the Priv when they cleared Priv's inventory, and now you can find a new unlocked Priv below $400 on many third party sellers. 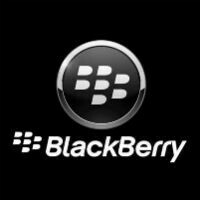 BlackBerry should pay attention to that and cut the price significantly. Passport is an obsolete two years old phone runs on a dead platform (BB10 was good OS really) Wish the coming phones could improve the hardware segment, but still highly doubt that. Dead platform? Enterprise and regulated industries would beg to differ with you. It ain't over 'til it's over, and it ain't over yet. Yes meanestgenius, It is dead. I know you are a big BB fan, but just try to be realistic. BB10 is now on the maintenance mode like a patient on life support. It is dead when its market share is almost zero, and I guess Chen already confirmed that BB10 handsets production stopped and no more BB10 devices in future plans. Facebook and Whatsapp already pulled the cord and major apps are missing. No, it's not dead. And being a "big BB fan" has nothing to do with it. Try looking at it from a logical standpoint. "Dead" would imply that it's no longer in use. There are still millions of BB10 users. Is it as big as other platforms? No. But that's not the point. People who use BB10 devices aren't concerned with the size of another platform. They are concerned with security, great battery life, productivity, and well-built handsets. BB10 handsets have all of what I just said in spades. Are there any new BB10 devices currently in production? No. But the market that BB10 caters to does not upgrade as quickly or as often as the consumer market. There's no need to. When BlackBerry builds a handset, they build it to last. Does that mean that we will never see a new BB10 handset? For now, no. In the future, who knows? But as long as my BB10 handset gets fresh updates (there are two security focused updates in the pipeline, the first of which should hit in June, if I'm not mistaken), I'm good. My Passport still runs like a champ and gets fresh updates. How many other almost 2-year old devices still see fresh updates? Not many outside of iPhones and Nexus devices. My Passport can multitask better than any device in the market, and has battery optimization/power management that are better than current flagships. I don't use WhatsCrap and Facebook is the bane of any smartphone on any platform as far as power consumption is concerned. But for those that use them, the Android versions or web version (in Facebook's case) run perfectly fine. So, BB10 a dead platform? Nope. So basically for anyone who doesn't want to read all that. BlackBerry isn't dead yet. It's on life support taking its last breaths as a relevant phone company. That would be your takeaway, now wouldn't it? Lol +1. I thought that was techie at first. I'll take that as a compliment, considering techie is much better company and much more intelligent than the trolls you pal around with. Maybe it's just you. Just because someone doesn't have the same view as you doesn't make them a troll. Get over it. But YOU are a troll. And that's a fact. Get over it and just accept it. And you aren't? Lol don't make me laugh. I troll the trolls like you with facts. Something you know nothing about. But you troll so much it's become a "constant" in the "PA universe". It's a running joke now. Your excuse is completely asinine. I am completely owning you. I've owned you from the very first time we crossed paths. Well said. +1 for the truth and for getting to the point without rambling on and on about regulated industries and the usual cop-out answer. Or maybe it's because you're just ignorant and stubborn to face the facts. Again with the Self-aggrandizing and paranoia? Lol get over it and let it go. So you think what he said are facts? You think what you believe about BlackBerry are facts? Because I can post links that prove you to be the ignorant, idiot troll that you are. And it's not "self-aggrandizing" and "paranoia" if it's true, and it most certainly is true. Who gives a crap? The only one who really cares that much is you. Lol let it go. If that's what you want to believe, then so be it. YOU do, or you wouldn't bother trolling BlackBerry articles so much. And it's true, so yeah, I believe it. Again, just because someone disagrees with you doesn't mean they're a troll. Like I said before, if that's what you want to believe. Again, YOU are a troll. And EVERYONE here knows it. It's the truth, so I believe it. So are you. That's fine, you can believe all you want. If it makes you feel any better, people your age believe in the tooth fairy, Santa Claus, and the monster under the bed. I troll trolls like you. I've always said that. But you keep lying and saying you're not a troll, when it's become somewhat of a running joke now because of how much you troll. I choose to believe the truth. You can lie all you want, but we both know that what I'm saying is true. You lie so much you don't even know fact from fiction anymore. In other words: "Meanestgenius has me dead to rights. Everything he said is absolutely true, and I can't dispute it." There. I fixed your BS post for you. "Cool story bro. If" what? Lol. If it puts you to sleep, so be it. Just remember it's not my fault if reality hits you head on with the truth.